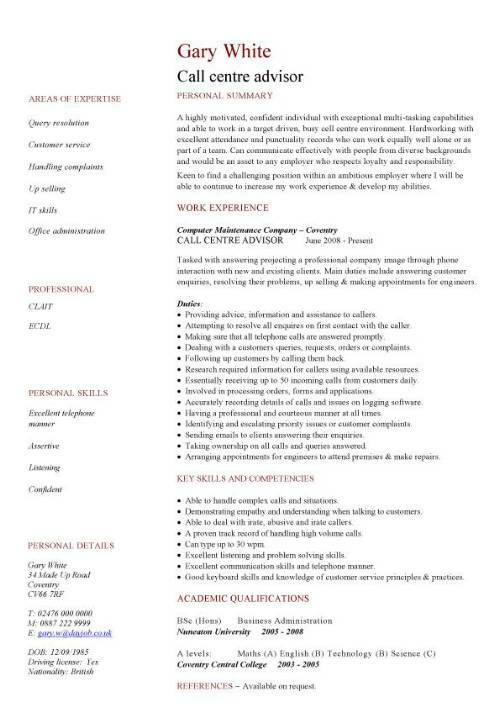 On this page you will find a link to a professionally written call centre CV template and also get tips on what points to focus on in your CV. All you need to do is simply enter your personal details into the ready made text boxes and within minutes you will have an eye catching, interview winning and professional CV. The templates can be edited in any version of Microsoft Word. Click on the link below to be taken to our secure PayPal payment page. Once you have paid the templates will be automatically emailed to you. This template can be used for your own personal use i.e. applying for jobs. You may edit, rewrite and send it out to job vacancies as many times as you like. However it must not be resold or used for any other commercial purposes. Ability to answer calls professionally. Handling and resolving customer complaints. Understanding of customer service principles and practices. Dealing with customer complaints or enquiries. Meeting performance and speed targets. Remaining calm under stressful situations. Tactful manner and have a good memory.